Vandoren’s MO ligatures combine lightweight construction with highly efficient tightening. The ligature has a single screw design, to allow quick and precise adjustment, whilst ensuring consistent hold and pressure on the reed. 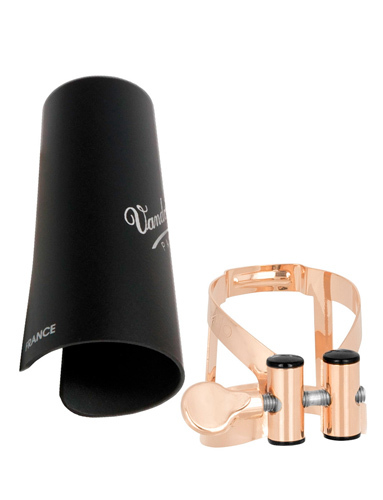 This ligature would be suitable for an intermediate or professional player, looking for a top-quality ligature to facilitate optimum vibration of the reed and a crisp articulation. Fits most plastic, and ebonite Bb clarinet mouthpieces. Offers a free blowing flexible tone.